Port of Tacoma commissioners today selected Don Meyer as commission president for 2018. Port of Tacoma commissioners have scheduled two public meetings to consider the port’s 2018 budget and tax levy. The Port of Tacoma has joined the national We Are Still In coalition of governments, businesses and universities committed to supporting Paris Agreement climate action. Since 2003, Tacoma has celebrated the Lunar New Year with Monkeyshines, a treasure hunt for hidden handblown medallions and glass balls stamped with the new year’s animal symbol. Port of Tacoma employees spent a day with more than 2,000 high school students to give them insights into the wide range of job opportunities the port industry offers. 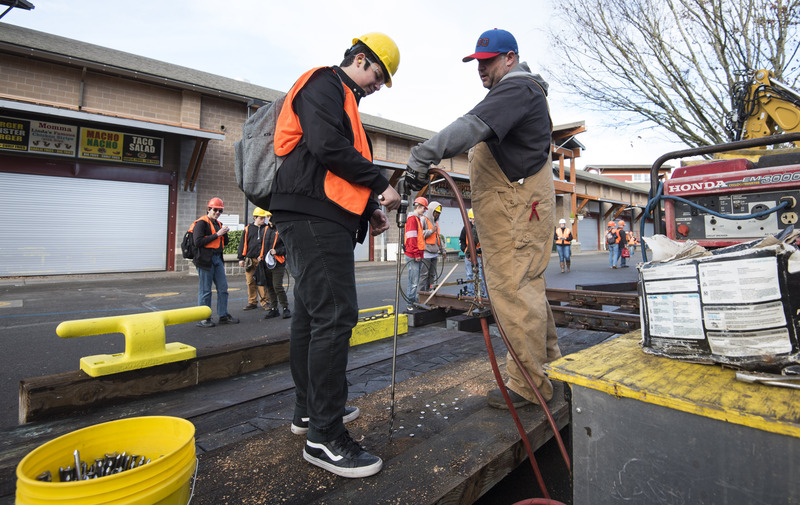 Port staff set up a variety of hands-on experiences for students at the annual Pierce County Career Day, held Nov. 17 at the Washington State Fair Showplex in Puyallup.